Russian intervention in Syria - what is the endgame? It has been rumored for sometime, and it has finally happened - the Russians have deployed a sizable contingent of military personnel to Syria. At least seven Russian Air Force Antonov AN-124 Ruslan (NATO: CONDOR) jumbo airlifters have moved men and materiel to an airfield just south of the Mediterranean port city of Latakia. 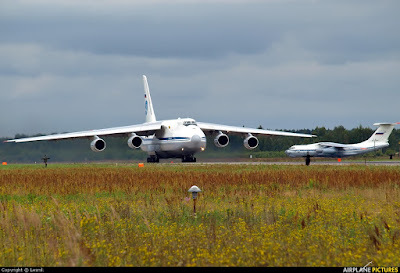 The AN-124 is the largest military transport aircraft in the world. 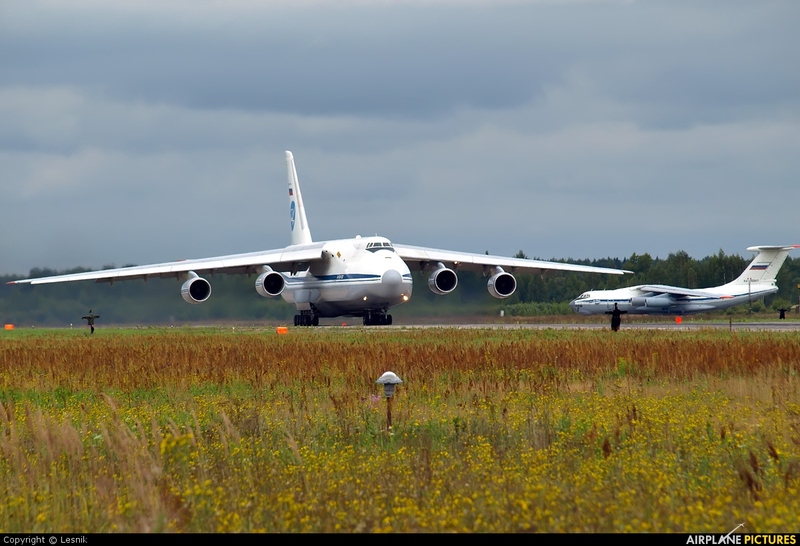 The aircraft can transport 255 tons of cargo, compared to the 135 ton capacity of the U.S. Air Force C-5M Super Galaxy, although the AN-124 has a much shorter range. The airfield near Latakia is a joint Syrian air base (actually used by Syrian Navy helicopters) known as Humaymin Air Base and a civilian airport known as Basil al-Asad International Airport. The airport is named after the President Bashar al-Asad's late older brother - it was Basil who was supposed to be the successor to their father Hafiz. Basil's death in an automobile accident in 1994 led to Bashar's ascendancy to the presidency. The familial home of the al-Asad clan is just a few miles northeast of the airfield in the city of Qurdahah. By way of disclosure, I was the Air Attaché to the U.S. Embassy in Damascus from 1992 to 1995. In that role, on several occasions I have been to Humaymim Air Base and what was then known simply as Latakia International Airport. Coincidentally, I was also at Damascus International Airport only minutes after the automobile accident in which Basil al-Asad was killed at the airport entrance. The Russians have requested overflight rights for their military "air bridge" between Russia and Syria from September 1 to September 24. Although they have flown at least seven AN-124 sorties, we are unsure of the exact number of flights - no doubt there will be more. The United States has pressured NATO allies Bulgaria and Greece (and no doubt others) to deny the overflight requests. The two countries have acceded to the American request - good for them. The Russians have an alternate flight route, however. Immediately after the two NATO members refused access to their airspace, Iran offered Russia the use of its airspace for flights to Syria. Of course, that will also require overflight of Iraq, whose Shi'a-dominated government will acquiesce to Iranian "requests" to facilitate the Russian airlift. Like any military expeditionary force, the Russians deploy with mobility and air defense assets. According to various media reports, the Russians are airlifting armored personnel carriers and tactical air defense systems with their troops - this is typical and we would do the same thing. The Russians have deployed the BTR-82 armored personnel carrier (APC, left) and the very-capable Pantsyr-S1 (NATO: SA-22 Greyhound) air defense system with its troops in Syria. The BTR-82 is a first-rate APC, and the SA-22 is a formidable mobile gun and missile platform - the Russians build excellent tactical air defense systems. Interestingly, one of the first confirmations we had of Russian troops in Syria were "selfies" posted on Twitter and other social media by Russian soldiers who now find themselves in northwestern Syria. The Russians have yet to stop their troops from posting photos on social media that belie the official Kremlin position - the selfies posted last year with meta data indicating their presence in Ukraine should have been a lesson in operations security. So now the Russians are in Syria. No matter your opinion of Russian President Vladimir Putin, you have to acknowledge the decisive nature of his actions. At some point, he and his advisers - no doubt with many years of experience in Syria since they have been Damascus's primary weapons suppliers and military trainers/advisers for half a century - assessed that Bashar al-Asad was in danger of being overthrown. The removal of Bashar al-Asad is not in and of itself a major issue for the Russians, but continued access to Syria is. Over the past four decades, the Russians have been edged out of the region as most Middle Eastern nations turned toward the West. The one exception has been Syria - the Russian naval facility at the Syrian port of Tartus is virtually the last Russian outpost in the Mediterranean. There have also been reports of Russian advisers working with Syrian military and air defense units. I have no doubts that Vladimir Putin will want to maintain that Mediterranean presence, just as he has moved to re-establish the Crimea as a Russian navy base, and has deployed Russian navy ships to Cuba. It is interesting that the Russians have deployed to the air base just south of Latakia. 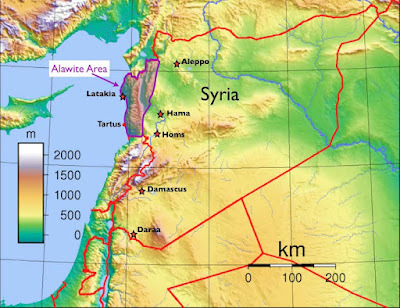 The northwestern coastal mountain range is the home of the 'Alawis, a quasi-Twelver Shi'a sect of Islam that has produced much of Syria's current leadership of the armed forces and ruling Ba'th Party. Membership in either organization has been seen as a way out of the poverty and persecution formerly experienced by the group. 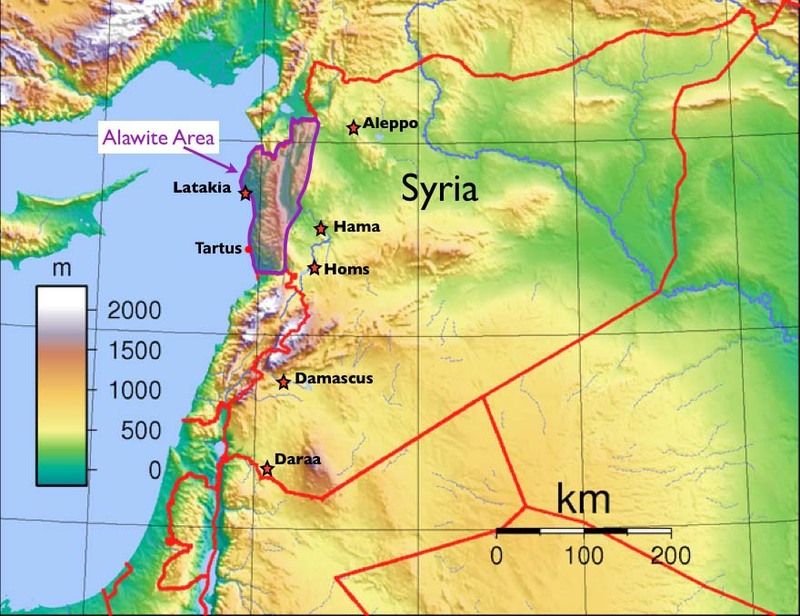 When Syria was placed under a French mandate after the end of World War One, the 'Alawis were encouraged by the French to join the military as a counterbalance to the majority Sunni population. Since the "Correctionist Movement" in 1970 that brought Hafiz al-Asad to power, the 'Alawis have been the dominant power brokers in the country. Hafiz al-Asad strengthened Syria's ties with the Soviet Union, a relationship that survived the collapse of the USSR and continues even today, although Russia's financial problems over the years have limited the amount of support provided to Damascus. The deployment to the Latakia area may be an attempt to protect the 'Alawi homeland. Syrian rebel groups, both the Free Syrian Army and a loose alliance of Islamist groups including the al-Qa'idah affiliate in Syria - Jabhat al-Nusrah (the Victory Front) - have expelled the Syrian army and its supporting Iranian and Hizballah forces from Idlib province, located immediately to the east of the 'Alawi-dominated area. The rebels have been vocal in their plans to move towards the coast and to seize Syria's three major ports (Latakia, Baniyas and Tartus) as well as the mountains that are home to most of the 'Alawis in the country. The loss of this region would be a major blow - possibly the fatal blow - to the regime of Bashar al-Asad. It is the fear of this loss and the real threat posed by the opposition forces that are likely driving the Russian deployment to this region. Syria's armed forces are not capable of defending this area despite their control of the skies and relentless bombing of civilian areas. As they pull back for the inevitable battle for Damascus, they have ceded large areas of the country to the rebels or the Islamic State in Iraq and Syria (ISIS). Thus far, the Russians have not engaged ISIS. At some point, however, propping up Bashar al-Asad may mean the Russians will have to do just that. While it sounds good to have another ally involved in the US-led coalition's fight against ISIS, and the Russians could certainly be helpful in the short term, the problem is the endgame. The Russians want to make sure that no matter what the political solution at the end of the civil war, Bashar al-Asad or someone as compliant remains in power. That assures them access to their remaining naval facility in the Mediterranean. Failing keeping Bashar al-Asad in power, the Russians want to have the defining voice in who runs the country. Before we start to talk to them about joining the effort against ISIS, we should remember that a previous alliance with the Soviet Union against a common enemy 70 years ago led to an endgame of fifty years of Communist repression in Eastern Europe known as the Cold War. Secretary of State John Kerry has made several overtures to his Russian counterpart warning the Russians about their intervention in Syria. Mr. Kerry, the Russians no longer take you or the Administration you represent seriously. We have done nothing to stop Russian adventurism in Ukraine, have capitulated on the anti-missile defense system in Poland the the Czech Republic, have sat and watched as Russian ships and aircraft probe our defenses at levels not seen since the end of the Cold War, and caved in to late Russian demands in the Iran nuclear talks to lift sanctions on ballistic missiles after just a few years. The Russians have assessed that they can do almost anything they wish and there will be no consequences from the United States. They will pursue their own objectives, whether or not those objectives are compatible with American interests. They will be more involved, not less, in Syria. They mean to have the final say in Syria's future. The United Kingdom and France to attack ISIS in Syria? In welcome developments, two of the United States' closest allies announced that they have expanded, or are in the process of expanding, their offensive operations against the Islamic State (or ISIS - the Islamic State in Iraq and Syria), to include targets in Syria. Both countries have been members of the US-led coalition since the beginning of air operations in the summer of 2014, but have only allowed their pilots to attack targets in Iraq. That appears to be about to change. Both countries now appear to be on the verge of taking the fight to ISIS in its key strongholds in Syria, joining pilots of the United States and its Arab allies who have already been conducting air operations in Syria. This is a welcome development - while the air forces of the Arab participants in the coalition are certainly capable partners, the British and French air forces are among the finest in the world and have long experience in conducting joint operations with American forces. They can also bring excellent intelligence, surveillance and reconnaissance (ISR) capabilities to the fight. The coalition partners now participating in the air operations in Syria are almost totally reliant on American ISR capabilities. French President François Hollande announced on September 7 the impending commencement of French reconnaissance flights over Syria and the possible subsequent authorization for French combat aircraft to begin attacks on ISIS in Syria. The President justified the possible French expansion of its operations into Syria on recent attacks against targets in France, including the attack of the offices of the satirical magazine Charlie Hebdo and the recent - thankfully failed - attack on a French high speed train. According to Hollande, those attacks were planned in Syria, and the perpetrators had a connection to ISIS in Syria - the train attacker fought as a part of ISIS in Syria. Should the French president order airstrikes in Syria, it would be a welcome development to be sure, but it would be helpful if France would increase its overall level of participation in the air campaign. This far, the French have conducted just over 200 airstrikes. 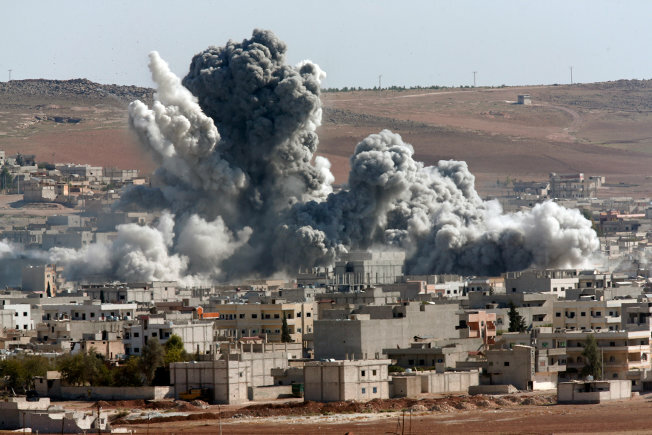 The vast majority of the airstrikes - in both Syria and Iraq - have been conducted by the United States. Of course, our forces are much larger than our allies, but the commitment of additional resources would be welcome. President Hollande seems to be on solid ground here - he has the authority to order French forces into action in Syria. The French have shown a willingness to take on Islamist fighters, as evidenced by France's lead in anti-terrorist operations in North Africa for the last two years. While it is a virtual certainty that French ground troops are not part of the equation in Syria, French air assets are a welcome addition. 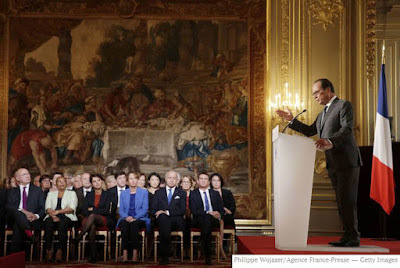 Contrast the French president's position with that of the United Kingdom's Prime Minister David Cameron. Mr. Cameron surprised almost everyone with his announcement that the British military had used a drone to launch an attack in Syria that killed two British citizens and a third ISIS fighter. The Royal Air Force operates American-built MQ-9 Reaper armed drones - they have been used in Afghanistan and Iraq. While they have been used for reconnaissance operations over Syria since late last year, this is the first lethal strike by the drones in Syria. The revelation of the attack on the two British subjects - considered by most a targeted killing - has rekindled the debate in Britain over UK operations in Syria. The House of Commons has in the past refused to authorize British military operations in Syria. As with the possibility of French participation in the air campaign in Syria as well as Iraq, British participation would be welcome as well. In addition to the addition of very capable air forces, the combined participation of American, British and French air forces would send a strong message to the rest of the world that three of the West's leading powers are committed to finally making realistic attempts to - as President Barack Obama promised over a year ago - "degrade and defeat ISIS." It would also treat ISIS as a single target set rather than two separate operations in Iraq and Syria. If I was handicapping this, I would say there is an even chance we will see French offensive air operations in Syria, and a one in three chance we will see British air operations there. I hope I am underestimating - I would welcome their participation in the fight. Classified information on Hillary Clinton's private email server - how did it get there? Although I tend to limit my analysis and commentary to Middle East issues, my expertise in the region was gained from almost three decades of service as an intelligence officer - as both a clandestine case officer and a signals intelligence officer - with the Defense Intelligence Agency, Central Intelligence Agency and National Security Agency, agencies probably better known by just the initials DIA, CIA and NSA. All three intelligence agencies deal with the highest levels of classified information in the United States government. The proper handling and safeguarding of that information is taken extremely seriously in the intelligence community. Serious breaches of the federal laws and departmental/agency regulations are usually career-ending events. I will not address the politics of the email controversy surrounding former Secretary of State and presidential candidate Hillary Clinton. I will, however, address some facts about national security intelligence information and draw some conclusions about the presence of Top Secret/SCI information found in supposedly unclassified emails discovered on Mrs. Clinton's unsecured private email server. SCI refers to Sensitive Compartmented Information and involves special handling requirements because of the sensitivity of the sources and methods used to acquire and produce the intelligence information bearing the SCI markings. You will also see references to SI (Special Intelligence - a specific reference to information derived from signals intelligence, the exclusive purview of NSA) and "codeword" information in the emails - these are references to SCI. SCI can be at the Secret or Top Secret level - it can also be further restricted to limited distribution lists in the cases of extremely sensitive sources. For example, if NSA was able to obtain information on Russian nuclear weapons capabilities and the intentions of the Russian leadership based on breaking an encrypted Russian military communications system, it would be very closely held - only a small group of senior military officers and national security decisionmakers would see that information. If the fact that NSA had successfully penetrated these communications were to come to the attention of the Russians - or their allies - our capability to access that information would dry up immediately. This is the level of damage inflicted by former NSA contractor Edward Snowden - it will take many years and billions of dollars to recover from his treachery. Because intelligence information is sensitive, the laws and regulations that govern how it is produced, marked, handled, transmitted, stored and ultimately used are very specific and not open to interpretation. Intelligence material is classified at its inception, at the very first stage of the acquisition of the raw intelligence information, and remains classified throughout its entire existence until it is destroyed or an authorized official declassifies it. Declassification authority rests with the agency or department that originated the information and determined the initial classification. It is that last part that seems to be lost on people at the State Department. Even retired Admiral John Kirby (a fine officer by all accounts) seems to misunderstand the rules. Granted, for almost all of his Navy career, the admiral was a public affairs specialist and not involved in either operations or intelligence, but any senior officer in the armed forces should be aware of the basic rules of handling classified information. Admiral Kirby's public pronouncements that Mrs. Clinton's emails contained information that was not classified when it was sent, but was classified later, defy not only common sense but the rules and regulations of both the Defense Department and the State Department. The admiral and I have a cordial relationship, but his position on this is untenable and bordering on the ludicrous. Of course, the media doesn't quite get it either. I heard an anchor this morning describe the emails as "subsequently classified" - obviously she has accepted Admiral Kirby's fiction. It is ridiculous - the information was always classified; it was classified by the originator. What she should have said was that the emails contained classified information that had been improperly handled. I think we can all stipulate certain facts, despite the State Department's claims to the contrary or their attempts to claim that information was not classified but now is (a virtual impossibility): it has been shown that Mrs. Clinton's emails or email server contained information deemed by the intelligence community - the agencies that originated the information - to be Top Secret/SCI. That information was classified when it was collected, analyzed, collated and disseminated - thus it was classified when it reached her private unsecured server. Top Secret/SCI information is, and has been, restricted to either Defense Department, State Department or CIA communications channels authorized to handle such information. The firewalls between the intelligence community and unclassified networks are managed by NSA to guarantee that no classified information is introduced into unclassified and unsecured communications systems - Mrs. Clinton's private email server is a perfect example of a unsecured communications system. Having done this for a living, I can attest that it is virtually impossible to electronically move classified information to an unclassified network or server. 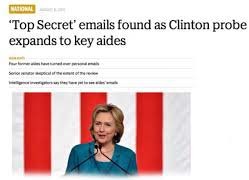 Yet classified information, including Top Secret/SCI information, was found in over 100 emails on Mrs. Clinton's private unclassified unsecured system. The question that immediately comes to mind is how is that possible? All classified information is prominently marked - on the document overall and on each paragraph separately. Although the exact paragraph markings differ by department/agency, each and every paragraph bears the classification of that specific portion of the information. It is the basic classification marking in all classified documents. It fast becomes evident that the information resident on Mrs. Clinton's server and in some of her emails was transferred illegally and improperly from classified government servers across a firewall to that server. These are the emails that Mrs. Clinton initially claimed were unclassified, but has now altered that description to "not marked as classified." She is splitting hairs here. Someone on the Secretary's staff - most of us believe it may have been either Huma Abidin or Jake Sullivan - took highly classified US intelligence information and wittingly ignored the classification markings and retyped or "cut and pasted" the intelligence information for relay to Secretary Clinton via the unsecured "clintonemail.com" server. Technically, Mrs. Clinton can claim - disingenuously - that she received no information marked classified. The information was of course highly classified but improperly stripped of its classification markings - a felony. Either Mrs. Clinton knew about it, condoned it or chose not to report it, or she did not realize that sensitive intelligence information from DIA, CIA and NSA was classified. If the former is the case, she might be complicit; if the latter is the case, she might be incompetent. I doubt that she is incompetent. The bottom line is that classified information was found on her unsecured server. It was never unclassified and later classified - it doesn't work that way, regardless of how Mrs. Clinton or the State Department spokespersons try to spin it. Someone deliberately put sensitive national security information at risk for the sake of convenience. Everyone involved needs to be held accountable - perhaps the FBI will do just that.